At this late stage of his career, one could be forgiven for thinking that Raffaele Cretaro’s passion for playing might be waning ever so slightly. Over his long career at Sligo Rovers where he made his debut way back in 2000, the 37-year-old has written himself into the folklore of the club. He was even honoured with a Civic Reception by Sligo County Council last July as part of his testimonial celebrations in his final season at the Showgrounds. But last November a new chapter began when he agreed to sign for newly promoted Finn Harps. And just to underline his commitment to his new side, the Tubbercurry man had no difficulty hopping into the car on Tuesday afternoon to drive to Letterkenny for a press briefing ahead Friday night’s game against Dundalk. Harps were training two hours later at 6pm, so it was to be a long day for the Sligo man. “From the first day I came up I’ve been made feel more than welcome, whether that’s people within the club or supporters I have met,” he said. His departure from Sligo Rovers drew many tributes from within the game and his former team-mate Seamus Coleman was among those to heap praise on Cretaro. He insists however, that he still has plenty to offer Harps. The passion is still as strong as ever. “If there wasn’t fire in the belly I wouldn’t be here,” he pointed out. “I’m 37, people would say I should have the slippers on and be in front of the fire, but for me that’s not an option. “I love the game, I love being involved in it, I love the whole build up to a game. Cretaro will make his home debut for Harps against Dundalk on Friday night. “It’s going to be a tough one for us,” he said. “But we’re hoping to make Finn Park a fortress this season and I think them coming to Finn Park, obviously we’ll try to make it is as difficult as we can for them. 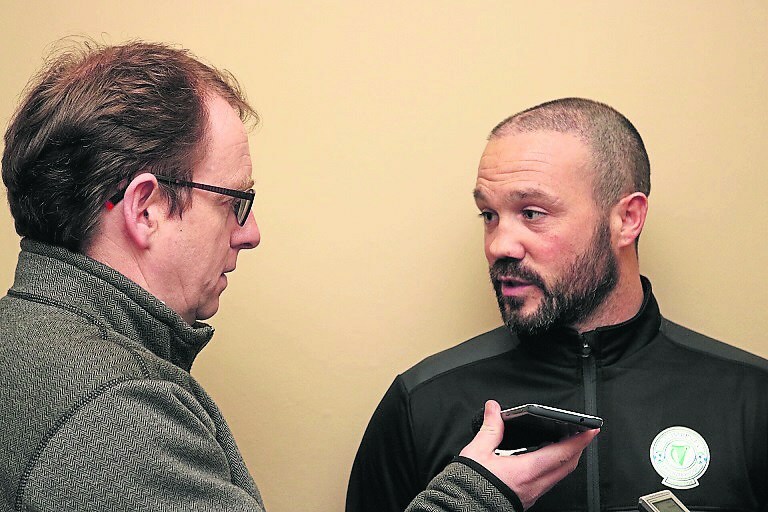 Despite being the senior player in the Harps squad, Cretaro said he doesn’t feel any extra pressure, and he gave an insight into his relationship with his new manager was a big part in his move to Ballybofey. “Obviously I’ve got the experience there,” he said. “I want to pass that on and help the younger lads in the squad. I have a fantastic relationship with Ollie and that goes back a number of years as he’s tried to bring me to Finn Park a few times.